There are so many factors to consider when considering the design of your kitchen, but one choice that often does not get the proper consideration is whether you should have a single or double basin sink. While this might seem to be an inconsequential decision, it is actually a decision that should not be made quickly. The choice of a single or double basin sink will strongly influence the functionality of your kitchen, but there is no right answer. This is ultimately a personal decision depending on your cleaning habits, personal design desires, and your kitchens flow and layout. We tend to take a long time to decide on our kitchen countertops, the size or shape of kitchen islands, and even the material and mounting of our sinks. Once you have determined the layout and design of your kitchen, you need to consider how the sink fits in with the overall plan. Porcelain and stainless steel sinks can both come in a single or double basin sink. 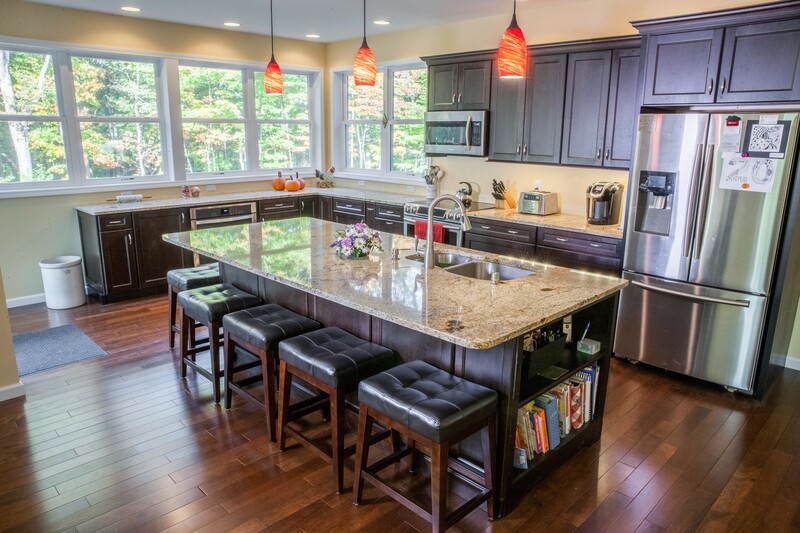 It’s important to select your kitchen countertops before selecting your kitchen sink because many granite, marble and quartz countertops will look better with a specific sink. 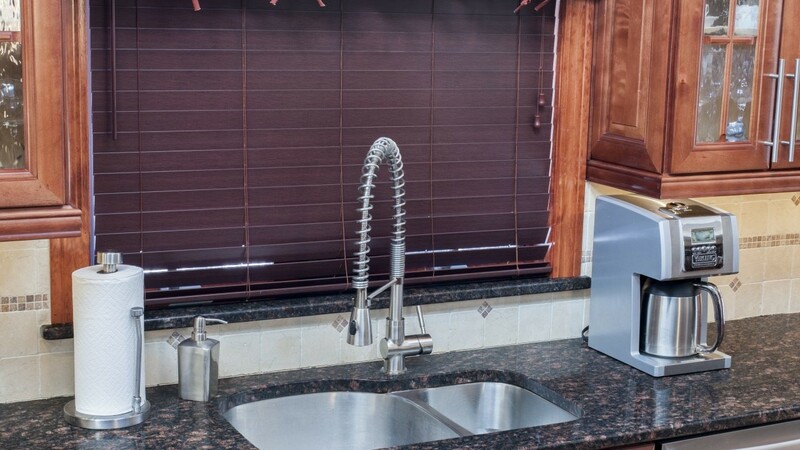 For instance, the tan brown granite countertop pictured below looks great with the stainless steel sink pictured, but might not look as impressive paired with a porcelain sink. Many people prefer the double basin sinks in a kitchen because you can easily separate the dirty and clean dishes - using one side for washing and one side for rinsing. If you have a garbage disposal, you can install that on the smaller side of the double basin sink, allowing for an easy and convenient place to scrape plates before washing. If you are not lucky enough to have a dishwasher, a double basin sink might be your best option because you can better wash and dry your dishes. If you have a dishwasher, having a separate space for clean and dirty dishes may be less of a priority. While double basin sinks are a must for some homeowners, others find them limiting and would prefer a large single sink that allows proper space for washing big pots and pans. A large single porcelain farmhouse sink is visually appealing and looks clean and fresh, paired with a large kitchen island. 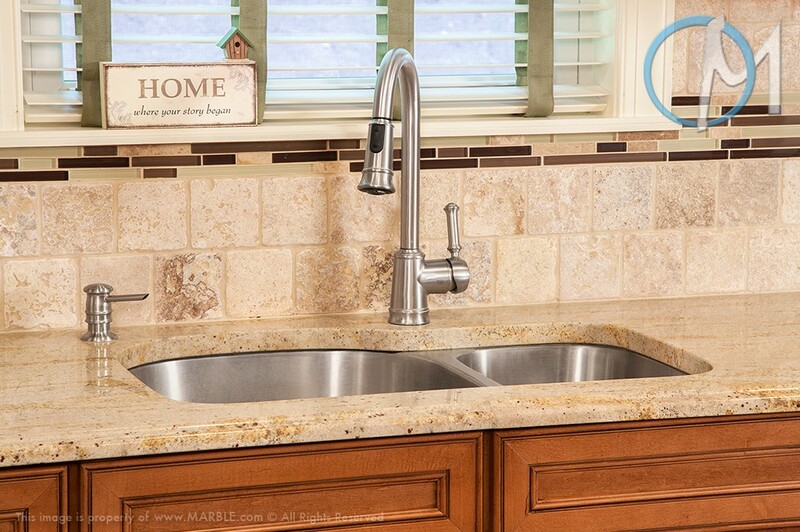 Similarly, a deep, high-quality stainless steel sink can be a wonderful option for a kitchen. As pictured below, a large stainless steel single basin sink works amazingly well will the fantasy brown quartzite countertops. 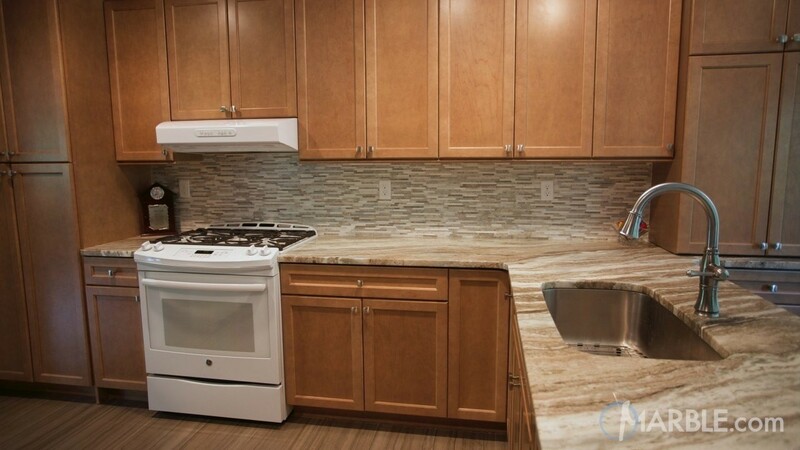 The light brown cabinets bring out the brown striations in the countertops and create a warm and inviting kitchen. Every decision you make in your kitchen should be one that you will be happy with for years to come, so take time when designing your new kitchen and consult with an expert for advice and support.